Events sell. I won’t deny that. In my article, Comics are My Literature, I mentioned that what pulled me back in to reading comics was the Death of Superman. Back then, in the early 1990s, shocking, event-driven comic book stories occurred, but infrequently. 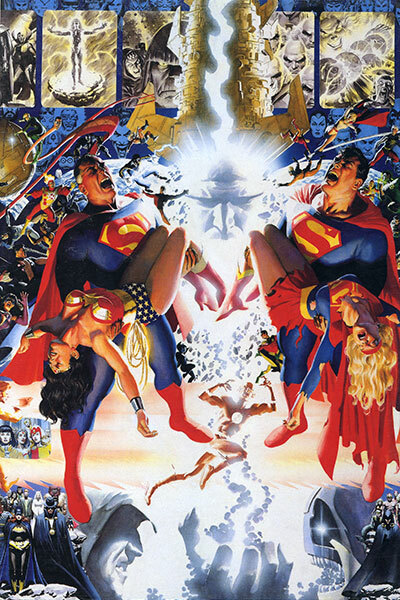 Due to the huge financial success of that one issue – along with huge media coverage – both Marvel and DC pushed many of their titles into shocking, event-driven storylines that pushed the limits of a comic book fan’s patience to hear “Everything you know is a lie!” or “Nothing will ever be the same again!” especially when said event-driven storylines were undone a year later. Not only were these events undone, but some were ignored or written in a way to explain them away. Spider-Man’s infamous Clone Saga, which lasted 3 years longer than originally intended, changed not only writers and artists, but editors and even executives throughout its ridiculously long tenure. In other comics, characters – both heroic and villainous – were resurrected or killed off sometimes without fanfare or explanation. To be honest, comic book continuity has never really been something with a solid grounding. Too many cooks in the kitchen have made it into this incomprehensible mess that confuses even the most stalwart of regular readers. Heaven forbid a new reader wants to try a Superman book these days. They’ll be asking, “But wait, didn’t he die? And I thought he and Lois married? Why is he wearing armour? What happened to the red underwear?” Every one of those questions come with a long, complicated answer from previous events. However, as far as the major, household name heroes go, even the most casual of fans know the basics of Superman: planet went boom, rocket, Kansas, Metropolis, look it’s a bird a plane, yadda yadda. The core elements never change. Which finally brings me to my point: continuity hardly matters and mainstream comics should stop trying to make it seem like it matters. Let me explain. At a DC Comics panel in Toronto, I asked then Executive Editor Dan Didio why they continue telling stories with big changes only to have them subsequently undone by later writers. He said, and I paraphrase, “It’s all about creating the illusion of change for the reader.” That honestly didn’t satisfy me. Why bother making the illusion of change or character development if it’s not going to stick? What if I read a novel, where all these amazing things happened, and then at the end, it was revealed, “Nope! It was all a dream. Nothing happened. Nothing mattered.” Why did I bother getting invested in the first place? Now personally, I prefer buying comics in graphic novels or collected editions. In most cases, I can get a complete story from beginning to end. I think about some of the most successful collected stories, though. The vast majority of them are single, self-contained books with a clear beginning, middle, and end. With some exceptions, most of those books are also mini-series, outside of current continuity. Some examples include All Star Superman, Batman: Long Halloween, Batman: Year One, Watchmen, Kingdom Come, and Dark Knight Returns. These are on every bookshelf in most comic book shops and even regular bookstores. They’re at the top of most comic book fan’s lists. Hell, Time even listed Watchmen in their Top 100 books of all time, alongside other prose literature classics. Some, like Watchmen and Dark Knight Returns, have been selling non-stop since the mid-80s. 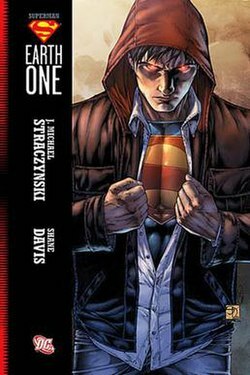 Additionally, DC has recently been releasing self-contained graphic novel series titles called Earth One. 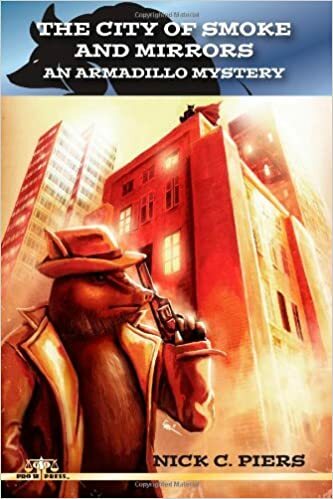 Continuity free stories with one creative team that have been selling like hot-cakes. So why don’t they just take that idea and apply it to ALL of their comics? Look, I understand that people enjoy seeing their characters cross over. And that can still happen…as long as it doesn’t interfere with one another’s books. Or it could be a separate book. Have a graphic novel specifically called Hard Travelling Heroes for Green Lantern and Green Arrow, for example. But given the huge, long-term, ongoing success of self-contained books, why don’t we see more of a trend for that? The only continuity used in the above mentioned books is the core ideas from the character’s mythos that everyone is familiar with. The mythos is tweaked, but it’s still used to tell new stories. I do understand that these giant events sell incredibly well. They’re always in the Top 20 (usually Top 10 or Top 5). But what about the long term? How well does Infinite Crisis sell now? How well will Avengers vs. X-Men sell in five or ten years time? That’s what I’m looking at: the long-term. Will those books be remembered as well or sell nearly as well in the long-term compared to Dark Knight Returns or even Superman Earth One? Doubtful. Even on the Marvel side, The Infinity Gauntlet story is nearly 30 years old and is still relatively accessible to new readers. I went into it pretty blind many years ago and enjoyed it. Maybe it’s not just continuity that doesn’t matter anymore. Maybe it’s the 22-page monthly comic. Again, in the long-term, those bigger, more satisfying, more accessible graphic novels have done more for the business than the half dozen different monthly Bat-titles. Suppose you gave one of those creative teams their own graphic novel, tell them to tell a complete, self-contained story, and then market it similar to the Earth One series? It wouldn’t even have to have some “Earth One” title. 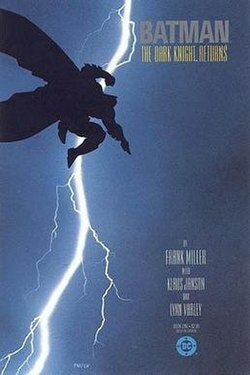 The Dark Knight Returns doesn’t need one. Watchmen didn’t need one. So I guess in conclusion, I keep hoping the comic book industry would stop trying to think so short-term or stop obsessing over meeting monthly deadlines. Instead, why not focus on letting the creative team tell a great, self-contained story, from beginning to end, and then market it with a long-term principle in mind? Stop trying to tell fans that this will change a character forever because it doesn’t matter. Superman will always wear red and blue (and yellow, if we’re lucky). Batman’s parents will always be dead. Aquaman will always swim. The core elements of these mythic characters won’t change, so stop trying to convince us otherwise. The illusion of change exists because these characters are commercial properties. Ultimately writers and artists really have very little creative control in comics, or at least in mainstream and licensed comics. If they allowed their products to change too much then it may alter their clientele. It would be like Apple hiring a group of new techies every few months to hop in and completely redevelop the ipad from step one up. Everyone who invests in the property would feel robbed, and likely cut out soon enough. It’s why series are endlessly renumbered and relaunched. New readers with short attention spans feel daunted by a comic that has existed for longer than them. The biggest factor in maintaining that illusion of coherence is continuity, so dropping the continuity would result in insulting what little intelligence remains of the average comics reader. If even pretending that coherence mattered was no longer a concern, the issues would become schizophrenic, they would be even less appealing for creators to work on, because everything would have to remain that much more canon. Even when the events do not hold lasting affect, they give the illusion of measuring posts, and with no more need of measuring posts, then there would be even less change in comics. But that’s pretty much my entire point. Rather than scaring away new readers with the continuity, why not have more self-contained, continuity-free work like the ones I mentioned? More Dark Knight Returns, less mega-crossovers that won’t make as much sense when collected together and read by a new reader. I like self-contained stories, don’t get me wrong, just as I like correcting folks that trade collections and graphic novels are not the same thing. But to go this route they would be telling longterm readers they are no longer desired. New readerships, new demographics have to be constantly explored and implored, but thus far the core readership are still folks who have been at it for more than 15 minutes. Their interest has to be maintained as well, which could not come if it’s the same thing over and over. I think there was a happy medium in the 1980s where the huge events were maybe every 2 or 3 years instead of every 6 months. That’s not perfect, but it’s better than what we have. I love the idea of a standalone event, outside of the ongoing books (like the original Secret Wars). But for these companies to make money then fans have to feel compelled to buy all 69 chapters of Secret Identity Crisis Dark Reign on Infinite Earths. And less and less are proving able and willing to afford it. Just to clarify myself- I think this is a huge balancing act that nobody seems able to manage right now. HOWEVER, I do sincerely believe that if writers and artists were given more breathing room then the stories would be more worthwhile across the board. There have been some phenomenal editors who develop strong working relationships with their talent, which always leads to the kinds of comics that end up on everyone’s list of favorites. The corporate airs we see in effect today just do not or can not grasp that. Like Legends of the Dark Knight in the 90s- every arc of the ongoing may as well have been a separate universe, and it allowed some powerful creatives to strut their stuff. And at the same time there were the Batsy family of books breaking Batman’s back, etc. It can be both ways.